Purity Deliverance Holiness Church > News > Notice of Transition > Notice of Transition – Brother Wade McNeil Jr. It is with great sadness that we announce the transition of Brother Wade McNeil Jr. He was a true fighter and example for many. The Purity Deliverance Church family will truly miss Brother Wade. 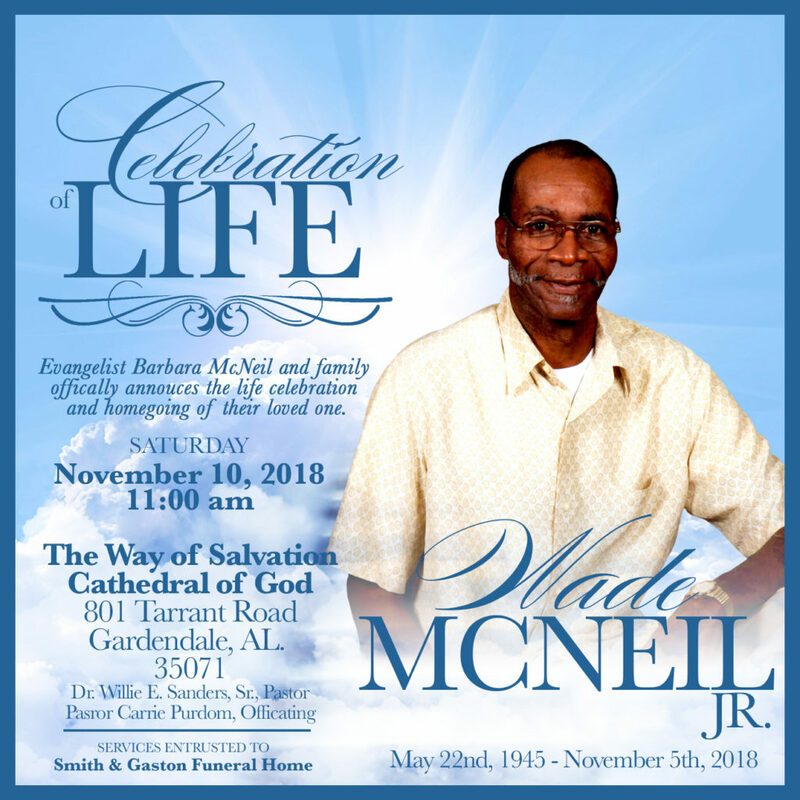 The funeral service will be held at The Way of Salvation Cathedral of God on Saturday, November 10, 2018 – 11 am. 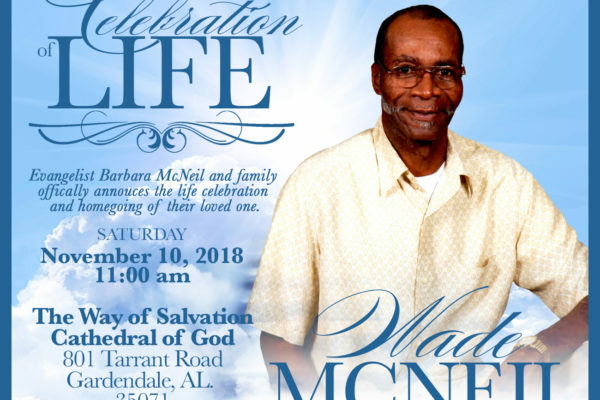 We ask that you help us pray for Evangelist Barbara McNeil and the family during this difficult time.